» Faculty of Medicine » Home » Congratulations to Alex Beristain, Gillian Hanley and Regina Renner on their CIHR project grants! 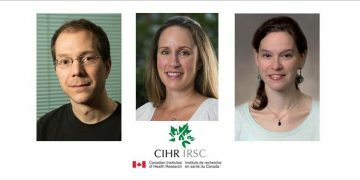 Congratulations to Alex Beristain, Gillian Hanley and Regina Renner on their CIHR project grants! Three of our department members were successful in obtaining CIHR Project Grant funding from the fall 2018 competition cycle. Alexander G Beristain for his project “Cellular dynamics at the maternal-placental interface” – a five year project to examine the effects of obesity in altering the cell make-up of the fetal-maternal environment in early human pregnancy. Gillian E Hanley for her project “The effectiveness and cost-effectiveness of opportunistic salpingectomy for ovarian cancer prevention” – a four year project to understand whether the extra costs of performing fallopian tube removal may be entirely offset by the cost savings that would result from a decreased future incidence of ovarian cancer. Regina Renner for her project “The Canadian Surgical and Medical Abortion Provider Survey (CAPS)” – a four year project to assess how changes in practice and policy have changed access and care since 2012. Lay summaries of these project can be found on the CIHR Funding Decision Database. Congratulations to Drs. Beristain, Hanley, Renneer and their co-investigators and collaborators! We look forward to hearing more about these projects as they progress.